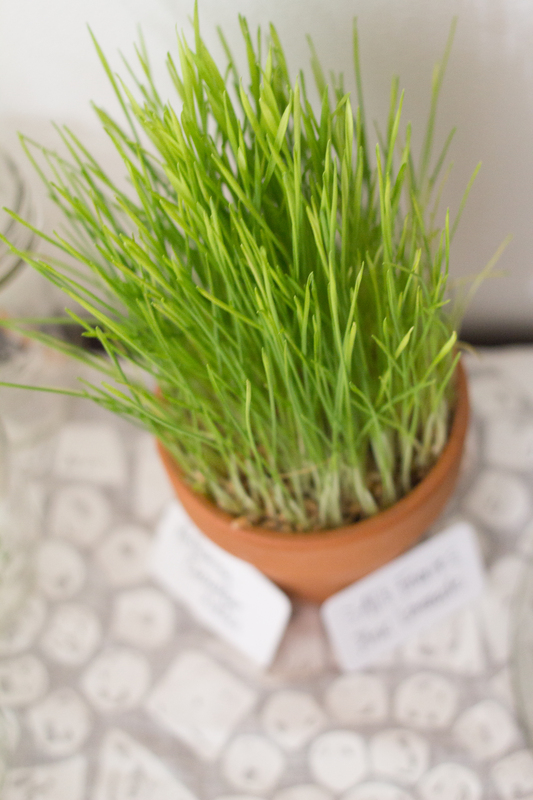 I said this in my original shower post, but I do believe the potted wheatgrass was my favorite decor element of the shower. It added an earthy and fresh look to an otherwise plain table of food. I was relieved after a few days of growing when these babies started sprouting and the end result could not have been better. The instructions for growth were very basic and simple so I thought I’d share it. 1. First you soak your wheatgrass seeds/berries for a good hour or so. Some places I read you should soak overnight, but I only soaked mine for an hour and it worked. I bought my wheatgrass berries from our local Co-op. They had them in the bulk section. 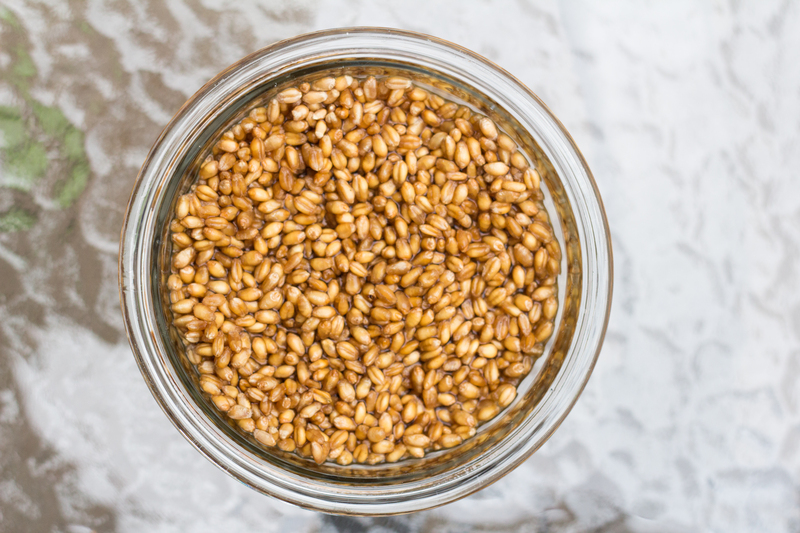 They referred to them as wheatgrass berries, not seeds. I also saw some online at amazon.com if you can’t find any locally, but online they were found under wheatgrass seeds. FYI. 2. 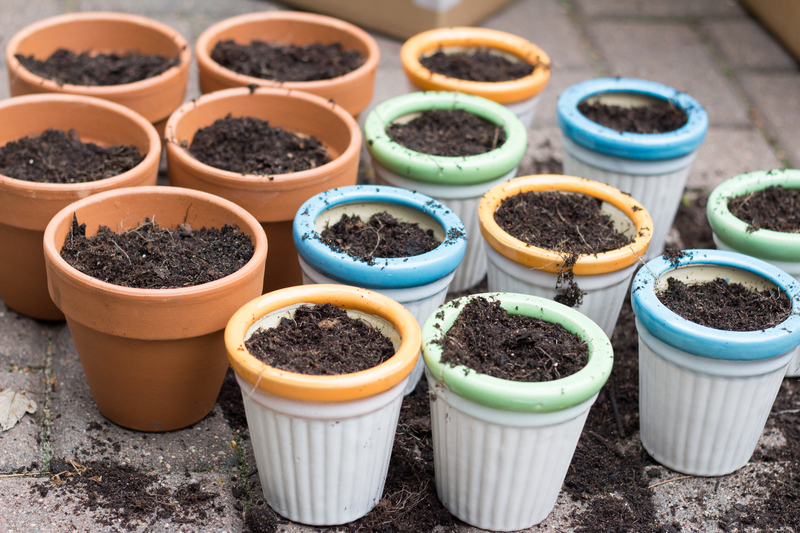 Fill your pots with soil. 3. 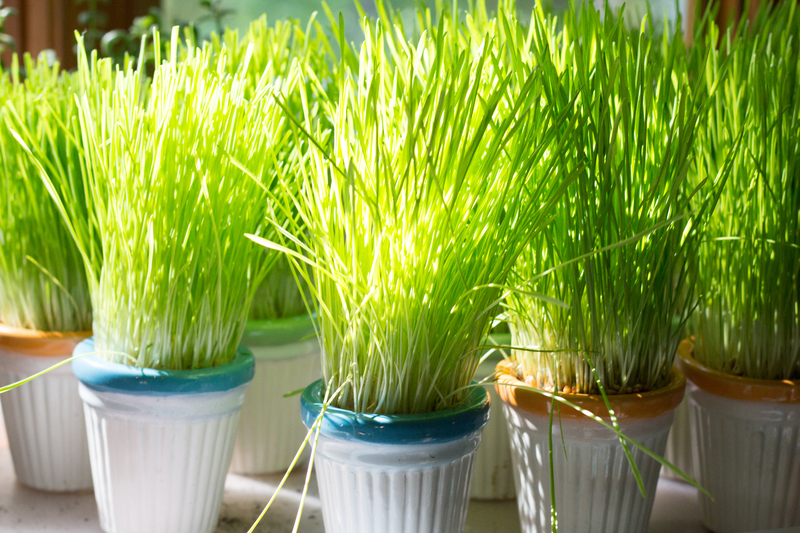 Spread a layer of soaked wheatgrass seeds on top of the soil. 5. It’s important to keep the seeds/berries damp for the first several days because this is what gets them to sprout. Cover the pots with either damp newspaper or paper towels for about 3 days. My instructions I followed had me put them in a dark place also for those days. My trick was covering them all with a tablecloth and making sure they stayed moist. I’d take a water bottle and spritz them a couple times a day. 6. Once they send up the first little sprouts of white, uncover them and put them in a nice well-lit window. 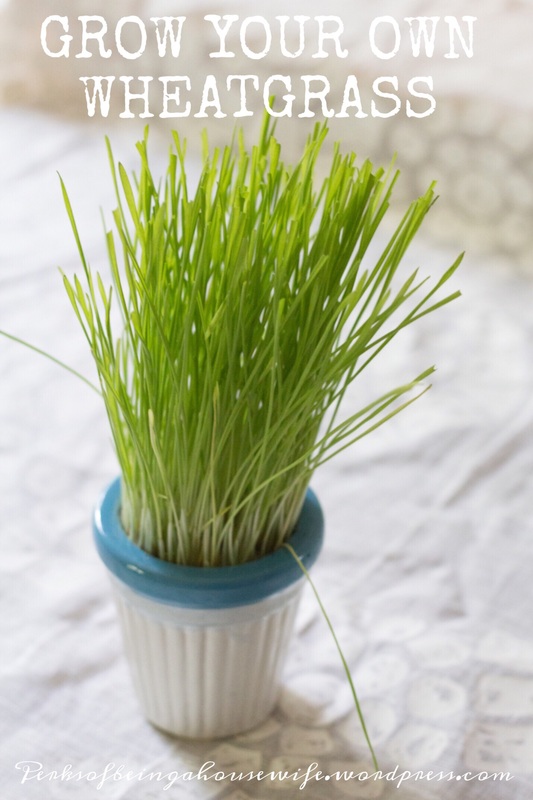 From here you will water them daily and before you know it, you will have a nice pot of wheatgrass! This is how beautiful they look after only 7 days! If they get a little overgrown before you’d like to use them for decoration purposes, give them a little trim. It grows back just like grass in our lawns do. 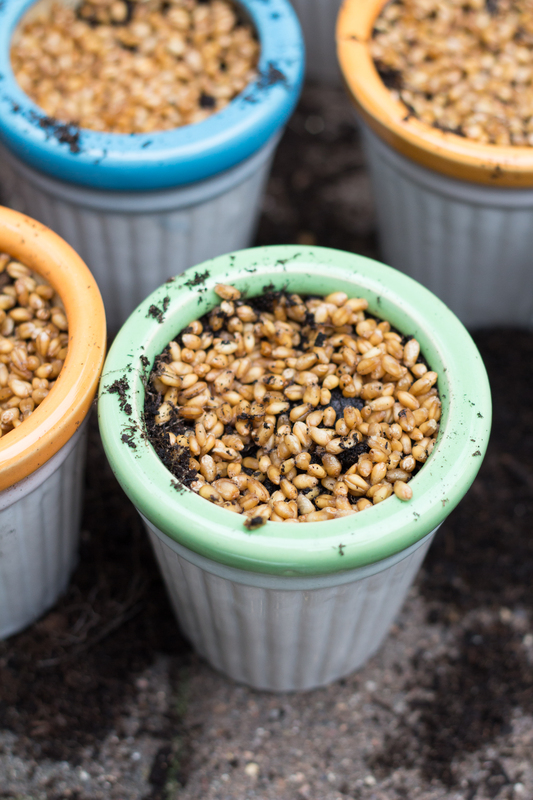 If you wish to keep them growing, place them in a sunny spot and give them some water every other day or so. 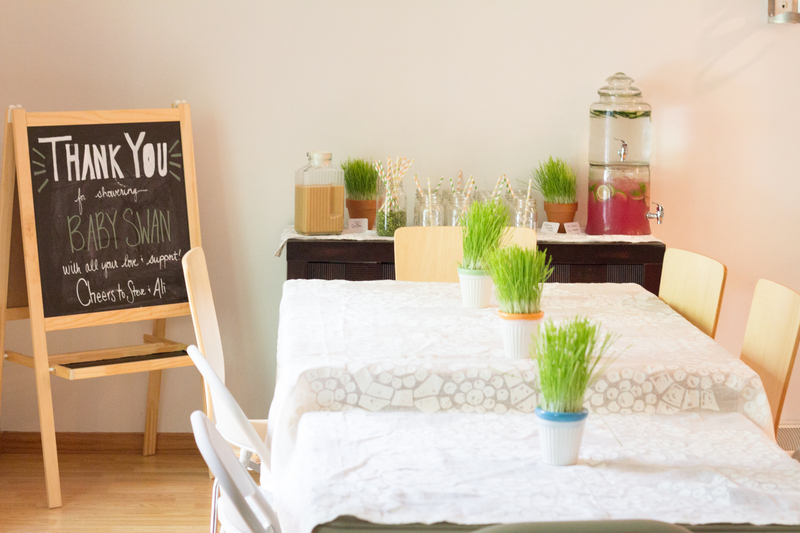 There is said to be many health benefits from juicing wheatgrass. Google it for yourself and you can be the judge of that. They served our purpose well for being some garden decor and then the takeaway for people when they left the shower. Win-Win! 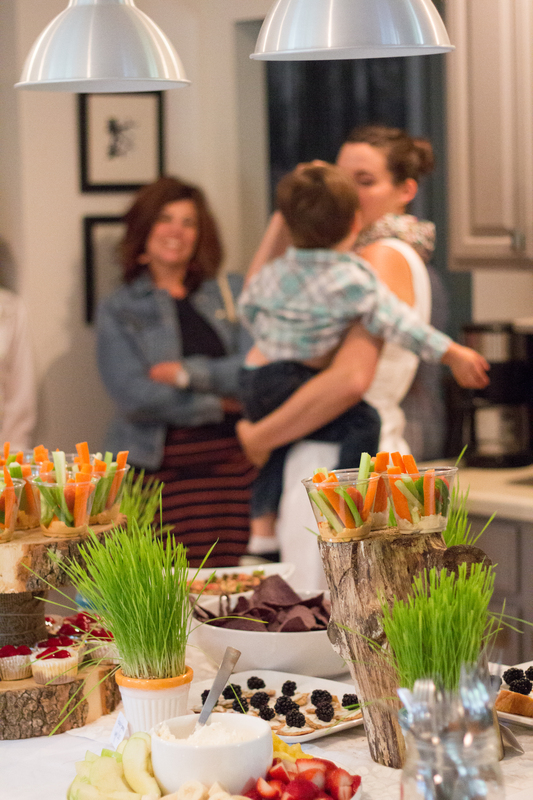 So there’s one little behind-the-scenes part of Baby Swan’s shower. I plan on sharing a few more with you so stayed tuned!